Today has been a busy but fun day for me. At the end of this post I have news about upcoming posts. Right now we are back to the business of the 30 Days of Beauty Challenge. This is Day 11 and it is time to talk about brows. There are many different ways to groom and sculpt brows. I try to not let my own preferences prejudice me. However, I do fail when it comes to cartoon brows. You know the thin or sometimes thick black line drawn over eyes where actual eyebrows are supposed to be. I can't stand them and don't think I'll ever be able to. There are certain brow styles I love, the natural arch is timeless and classic. I even dig the exaggerated arched brow. There is still a bit of charm to the full, thick brow that has never seen a tweezer, scissor, wax, or razor. I go between two brow styles: The natural arch and bold brow. Most times I get made up, I create a natural brow using my Billion Dollar Brows (BDB) 60 Seconds to Beautiful Brows Kit. I just brush my brows into place with a spoolie, fill in brows with taupe powder, then brush again to distribute color evenly. When it comes time for a bolder brow look, I use a mixture of brow pencil and brow powder to sculpt and shape a set of brows you can't help but notice. The pencil is used to fill in gaps or apparent gaps due to white/silver hairs and to outline the brow. The powder is used to soften and even out. 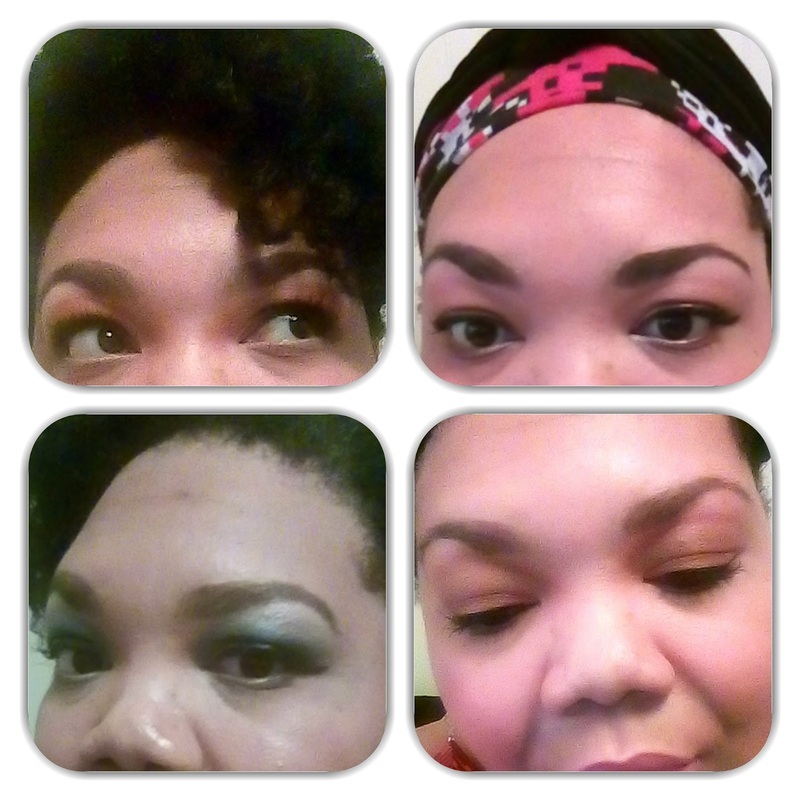 Before I started using BDB products I never used brow products. Even though I currently use BDB products I fall back to an old Avon eyeliner that has a smudge tip on it to fill in and define my brows. If I want them a little lighter, I'll use brown pencil as well. I also used to use dark brown and soft black eyeshadow for brow powder. Essentially if you have eyeliner and eyeshadow that match your brows, then you do not need brow powders or brow pencils. There is a ton of info for brows out there. I am no expert on brows. I just know that you use what you have on hand sometimes to get close to the look you want. Will be back tomorrow lovelies with another post. Over the next few weeks I have a few reviews for from CoverGirl and Maybelline. So stay tuned, lovelies!